The display of information shown below DEPENDS ON THE VEHICLE EQUIPMENT AND COUNTRY. Instrument panel A: lights up when the ignition is switched on. The brightness can be adjusted by turning control knob 1. In some cases, the appearance of a warning light is accompanied by a message. you should drive very carefully to an approved dealer as soon as possible. If you fail to follow this recommendation, you risk damaging your vehicle. Switch off the engine and do not restart it. Contact an approved Dealer. This lights up when the ignition is switched on and goes out after a few seconds. If it lights up when driving, fill up with fuel as soon as possible. There is only approximately 30 miles (50 km) worth of fuel left. If no lights or sounds are apparent, this indicates a fault in the instrument panel. This indicates that it is essential to stop immediately (as soon as traffic conditions allow). Ensure that the vehicle is correctly immobilised and contact an approved Dealer. This lights up when the ignition is switched on and goes out as soon as the engine is started. It comes on with other warning lights and/or messages, and is accompanied by a beep. This comes on when the ignition is switched on and goes out as soon as the handbrake is released. and a beep, it indicates that the fluid level in the circuit is low or that there is a braking system fault. beep, this indicates an overload or discharge in the electrical circuit. a beep, stop immediately and cut the ignition. This lights up when the ignition is switched on and goes out as soon as the engine is started. 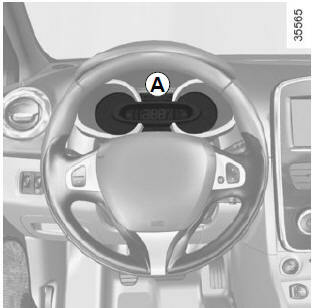 It can light up in conjunction with other indicator lights and/or messages on the instrument panel. For vehicles equipped with this option, the light comes on when the ignition is switched on then goes out. This comes on when the ignition is switched on. The temperature should lower and the warning light should return to a blue colour. If not, stop the engine. Let the engine cool down before checking the coolant. It goes out when preheating is complete. Please see information about “Stop and Start function” in Section 2. Please refer to the information on “Ecodriving” in Section 2.